My Integrative Bodywork therapist, Carol Cano, gave me this as homework, as a continuation of the healing that I am undergoing under her very able hands and counseling. If you have felt that you are ready for change, if you are thisclose to wanting total transformation and if you are also one of those who feel the urgency in raising the consciousness of others, then this movement is definitely for you. What is the best way to get what you truly wish? Let go…and give. Give from the heart. 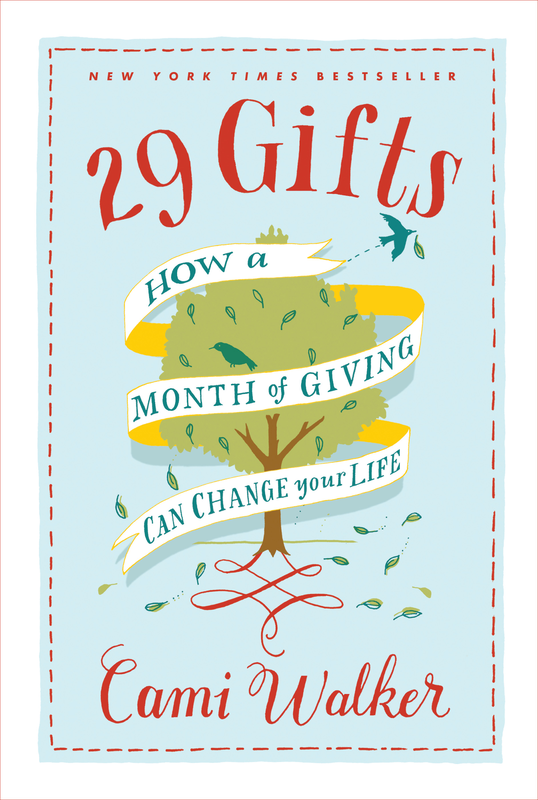 The 29 Gifts founder Cami Walker (and author of the book) suggests ways in which you open up your heart by giving to someone on a daily basis. this goes farther than merely plonking some money down for a charitable cause, because the gifts in themselves may not even be of a material nature. 29-Day Giving Challenge is Walker’s website and it is filled with suggestions and stories from people all over the world who have taken the 29 day challenge of giving. The wonderful thing about this is that it teaches you that the best gift is not necessarily the most expensive one, it can be as simple as spending time with someone who needs company, or sharing a recipe for the best chocolate cake which is someone’s favorite. In other words, the gift giving needs to be sincere and from the heart. It cannot be “planned” if it is to come from the heart. It comes as spark of an idea an “Oh! I think so-and-so would love this or like this!” with no hidden agenda or interior motive. It simply to give…and give out of love. Just to share, yesterday after my yoga session I was in conversation with my yoga teacher and she commented on how she was in need of an acupuncturist. The one that she was going to was too far for her to visit on a regular basis and hadn’t gone to a session in a long time. As the conversation ended and I walked away it suddenly hit me that I DID know of an acupuncturist, who not only could give her a private session (in her home) but also held his weekly practice in an area more accessible to her. I ran back to her in glee and happily shared this information and I could tell it “made” her day so to speak and actually made me feel warm and fuzzy inside. In fact, as I write this down, I feel warm and fuzzy inside all over again. What a marvelous gift, both to her and to me. It is my heartfelt wish that all of you get onboard the 29 days of giving challenge 🙂 When you are integral in helping someone feel happier (not that that is your responsibility-but it is nice to be a part of someone’s joy) then you are a definitive part of increasing the overall happiness around the world. You are part of the opening of a conscious heart, you become a significant player in changing the world, with love. One day at a time.